There are many different application security checkpoints that should be included as part of the development process. It’s a bonus when these checks enable DevOps and security teams to work together using agile methods, working towards a common goal with confidence. In today’s landscape, any risk, no matter how small, could be the end of a company’s reputation. Hackers are looking for backdoors and holes in application architecture on a daily basis, trying to identify and exploit any vulnerability they can. That is why DevSecOps is so important - it helps to create an environment where everyone is responsible for security, no matter what they are doing. Companies large and small can use this to ensure that safety and soundness are the cornerstones of every part of the process. This goes directly against the old-school practices of having a few people directly responsible for security. Instead of bypassing security and passing the buck to someone else, DevSecOps elevates traditional security methods to help teams tackle more complex security issues more effectively and consistently. DevSecOps reshapes development processes to helping teams be more collaborative and fix violations faster. Using a DevSecOps approach, security isn’t completed at the end of the process, but it is incorporated from the beginning of application design. This means that instead of one person at the end working on the security, even the developers focus on it. DevSecOps calls for looking at the application design, how your teams approach the design, and even the culture of the development team. There is also a call within DevSecOps to automate security systems and testing, combing interactive development and testing that will add greater levity to the work that your teams do. This levity allows them to take greater pride in each step of the process. One of the best ways that DevSecOps reduces risk is by giving everyone responsibility over security so there is more effective coverage. Changing the culture around application security takes time and sometimes feels impossible. However, adopting a DevSecOps approach can help drive this necessary change. Without fostering and enforcing a culture that prizes security, lower level risks may be ignored or overlooked without consequence, leading to issues in production, damage to the brand and more cost of assessing and fixing issues down the road. DevSecOps further lowers risk by focusing team effort around the mitigation of security issues early and often throughout the development process. Security cannot be treated at something tertiary. Instead, it must be a vital part of the equation. Developers absolutely need to think of poor security as part of the business value held by the solutions they create. With DevSecOps, the importance of security is automatic. The biggest way to avoid risk with DevSecOps is to move towards automation. By implementing automated systems for DevSecOps, you will reduce the security workflow and automate many of the security rules that are most important to your organization. Automated security checks, scanners, testing, and code validation can help to ensure that your apps are compliant and secure. One thing to keep in mind is that automation is a long-term solution, but periodic code reviews need to be performed with new definitions and recognized vulnerabilities. Automated testing should occur regularly, but there will need to be some changes or updates handled manually. For more details on how CAST helps automate DevSecOps, read on here: https://www.castsoftware.com/blog/devsecops-requires-more-than-devops-patching. 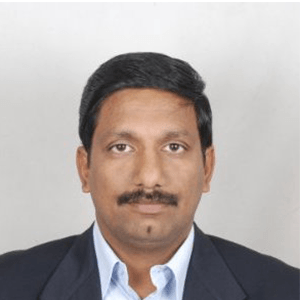 Srinivas has more than 18 years of experience in leading IT delivery teams across India, the U.S. and Europe while managing product security, microservices and SDK. Highly skilled in developing and driving products from conception through the entire product lifecycle, Srinivas has a track record of improving products and teams to create value for customers.